The journey which TaylorMade has taken in recent years as it pertains to wedges has been an interesting one. From the xFT’s (which are still ahead of their time), the Tour Preferred EF’s, and even the different ATV designs, the company has been all over the spectrum. This year, they are taking what might be their most focused attempt at a high performance scoring clubs and bringing to market the unique Milled Grind wedges. THP received the 54° SB (standard grind) finished in Satin Nickel in-hand and was able to take a closer look. The finish of the Satin Nickel version of the Milled Grind is as clean as one would hope. Additionally, it withstood a lot of beatings from pretty much every lie imaginable, and beyond some standard (minor) face wear it held up well. The Satin Nickel also received good marks where glare was concerned, though satin will always put off a touch of reflection, especially when the wedge is laid open, there was no issue for this reviewer even in the mid-day sun. Equally notable is how well the wedge sets up at address, it looks clean and aggressive with a flatter style leading edge that should appeal to shot shapers as well as straight forward golfers. The biggest visual stories here are clearly the sole and return bore-through style weight port. 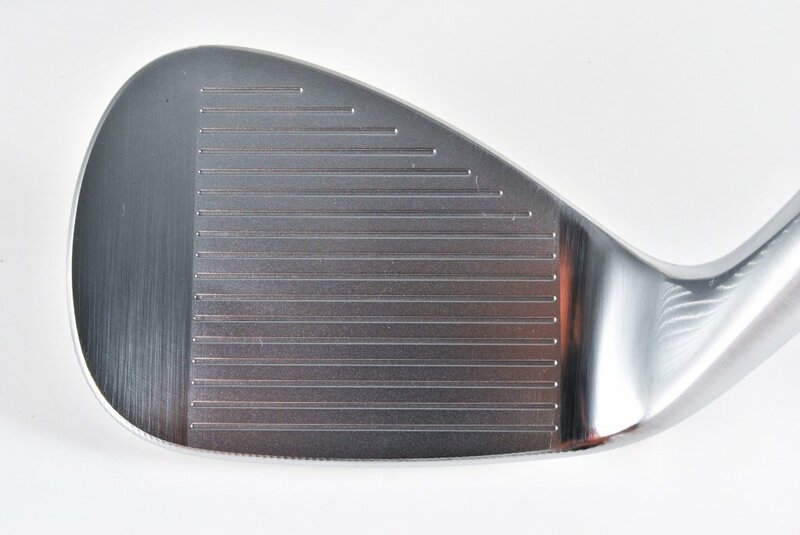 Where the sole is concerned, calling these wedges “Milled Grind” could not be more appropriate as the entire sole is milled for precision and the mill lines set it apart from any wedge on the market. While traditionalists may initially balk at the look, the greater majority will be quite pleased with how clean it makes the wedges look in hand. The bore through is a more polarizing visual however, not because of the tech itself, but rather the color choice. The decision to go with red in the plug has been the most discussed aesthetic as it stands out and grabs the eyes so much. It may come off to some as a small nit-pick, but the use of black or grey could have potentially made for a much less distracting look. To be frank, there was not a shot thrown at the 54° SB Milled Grind wedge which it did not handle. From the thick rough, to wet lies, the ability to funnel debris with the grooves allowed for all the spin one would hope to achieve from those lies. More than that, on clean and bunker lies the spin numbers we saw rivaled every major wedge release, something TaylorMade’s Tour Preferred wedges did not achieve. The SB grind proved to be quite versatile and even with a 54° model allowed for ample face manipulation to hit various touch shots around, or into greens. As far as ball flight on full and partial swings, the decision to pair the head with the tried and true Dynamic Gold Wedge shaft equated to surprisingly high peak heights that were achieved with relative ease and ample consistency. The biggest performance story with the Milled Grind wedges through testing was the feel/sound of the club, to the point it is exactly what previous releases were missing for TaylorMade. 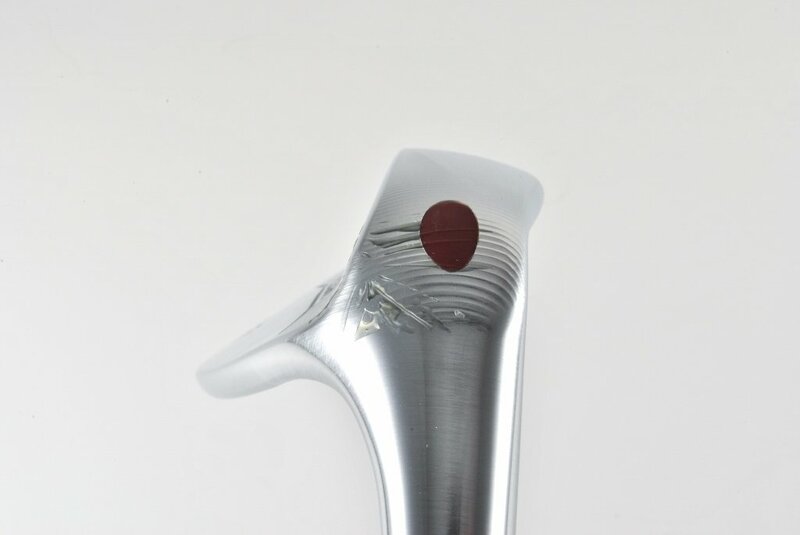 The use of the deeper bore and “precision weight port” allowed for a significant shift of the clubs CG away from the hosel, putting the sweet spot more in the center of the clubface. While this has-been, and is-being done, by other companies, none have gone about it as creatively as this with the polymer bore through filling in the heel. This CG shift means more power and precision while also adding more playability into the equation, it is no wonder we are seeing most wedges go this direction, after all, who aims to hit the ball just heel-side of center-face? Add to this the decision to use 8620 Carbon-Steel and what was seen/experienced in review was a dense impact that lacked clickiness or harshness altogether, while still providing plenty of feedback to the hands about where the ball was struck. The performance of the Milled Grind design was a real treat to see out of a TaylorMade wedge again, not that previous iteration didn’t offer performance, they simply didn’t have the all-around presence that this release does. As an overall design, the Milled Grind wedges manage to go far enough outside the box visually and technically to increase performance, but still walk the line of keeping a clean yet aggressive aesthetic edge. Wedges are one of the hardest clubs to change in people’s bags, but for the first time in a while, TaylorMade has a performer that should draw greater interest and intrigue than one might expect. The 2017 Milled Grind wedges are priced at $149.99, and information on them as well as everything else TaylorMade offers can be found at www.TaylorMadeGolf.com. The wedge market is so crowded with excellent options, it’s very nice to see TM differentiate themselves with the milled grinds. Thanks for another information packed review! Looks like TM has a winner here. Thanks for the thoughts on these, James. These intrigued me when they came out, and I really enjoyed the THP video with TM out at the Kingdom. I’ve always thought TM made some pretty great wedges that just didn’t get any buzz. 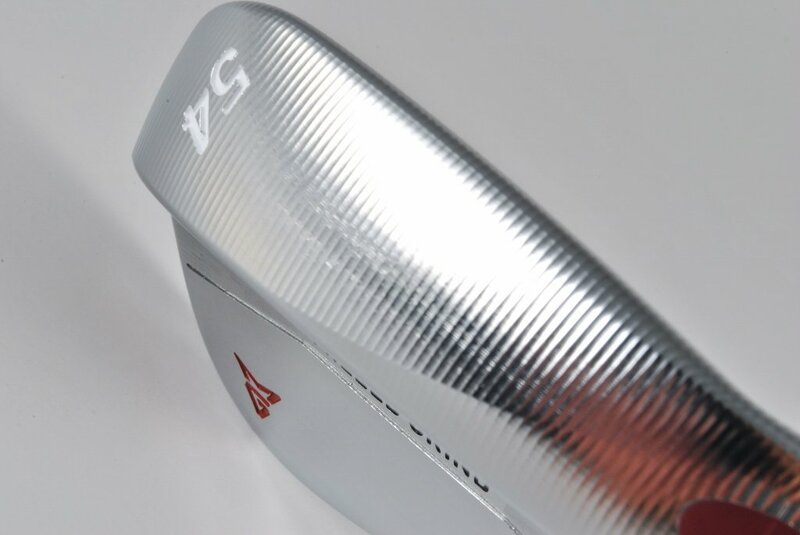 The milling lines on the bottom are a nice visual tech story for a wedge here. 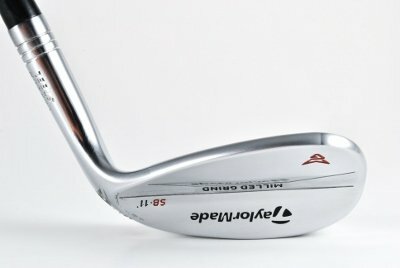 Excellent review James, these are a solid looking wedge. I personally like the red on the bore through hosel I think it adds a bit of cool to what is typically a not visually interesting club. Good to see TM doing something a bit out of the box, with solid performance. I gamed a couple of the recent TM releases and really liked them. I know it is silly but the look of the wedges leaves me with no desire to try them, a lot of that is the big red dot. TaylorMade lineup in 2017 is solid from top to bottom. I get the discussion on the weight port, but I think that TM doing milling in the key areas is a huge value when other companies are trying to sell milling at a price point 3x higher. Great review James. I really like the simple look that these wedges have, hope to get a chance to try one out. Keep up the great work as always man. I like them shifting the CG more to the center of the clubface. The precision weight port seems to be a win for them. I like the 3 different milled grind options and the looks are so clean, would pair well with there new line of irons.